This replaces the default moon with the second Death Star from Return of the Jedi. 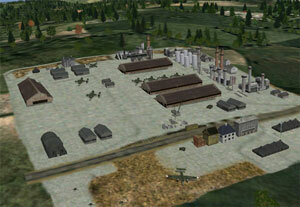 Horsa glider landing zone facility for use in mission building. The facility has 8 gliders randomly spread to give the impression of airborne operations. This file contains repainted textures of the ScenerySheet01 dds image.New shapes for all the trees and ALL other colors and many textures changed. 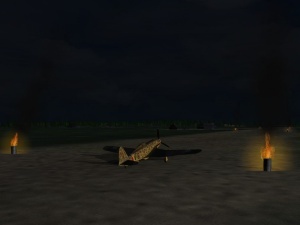 Placeable burning oildrums to be used as landing lights. Supadetail! replacement railway track textures for CFS3, release 1.0. As-is the railway tracks are at least two times too big in CFS3, these textures correct that. By Finn Neuik.